It’s always good to have goals. Goals motivate me and inspire me to push myself to the next level. At work I am always striving to reach a certain target or better myself and I believe that setting goals and striving to achieve them is what makes me so successful in what I do. Blogging is no different. Last year I set myself a few goals, most of which I achieved and looking forward to 2018, I want to push myself to grow the blog even more. Increase traffic to my site by 10% each month. I certainly achieved my aim of posting two blog posts per week. On average, I actually posted four times a week which I am very pleased with considering I returned to work full time in May. My TOTS ranking in December 2017 was 1081 and I wrote that it would be a dream to break into the Top 1000. Apart from a blip in the late summer where my page views weren’t being counted, I have actually been in the Top 500 for most of the year which is great. My aim to increase traffic by 10% each month works out as a total of 87,500 visits over the course of the year. Up to now I’ve had over 110,000 page views in 2017, however I haven’t increased my traffic much in the past six months. When I was still on maternity leave and had all the time in the world to promote my posts I would get over 13,000 views in a month, but now the number is closer to 8000 which I am happy with. One of the hardest goals of mine from last year was to earn money from my blog. I started making money in May and it has grown ever since. I am pleased to say I will have quite the tax bill to pay next year (bet that’s the first time HMRC have ever heard anybody say that!) and what I’ve achieved has been beyond my wildest dreams. Finally, my last goal was to increase my DA from 14. My DA is now 28 which means it has doubled over the past month, but also shows how slow these things can be to grow. I wrote in 2017 that I would have been happy with anything over 20, so I can easily say I reached my DA goal. 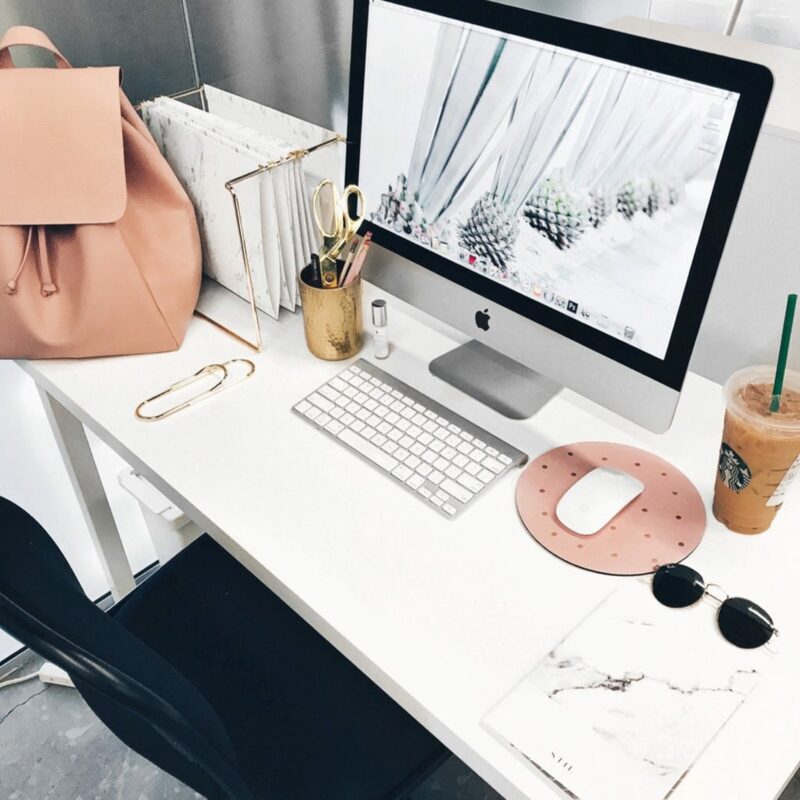 Now, what about my 2018 blog goals? Although it wasn’t a specific goal for 2017, I have been trying my hardest to get my combined social media following over 10,000 this year. I am so very close but still have more to do. I am going to set targets for each platform individually for 2018. I know I am going to need to be more active on all of these platforms if I want to grow them organically. Instagram is one platform where you need to post and engage constantly to show any kind of growth and my Twitter has come to a halt in recent months as I have not been as active. I would like to grow Youtube by posting more videos and I hope to keep Pinterest growing by continuing to pin new and old content. 2. Hit 10,000 Page Views Per Month. I did have a few months in 2017 where I was getting over 10,000 page views but as I previously mentioned it’s been hard to continue hitting this since returning to work full time. I usually hit around 8000-9000 views per month but it would be so nice if I could consistently get over 10,000 every single month. I know I need to go back into old posts and update them, ensure my SEO is all green, make more pinnable images and take part in more linkies if I have time. I have been guilty of taking part in Living Arrows but not always contributing to the linky which has lost me a few views each week. I’ve certainly had a lot more opportunities since my DA reached over 20 and even more once it got to 25, but I want it to keep growing and getting it above 30 is my next milestone. A lot of people tell me that DA doesn’t matter, but it’s a metric I like to follow and seeing it above 30 would make me happy. 4. Double my blog earnings. If you tot up what I’ve been paid for blog work this year, it averages out at around £200 a month. Over the next twelve months I’d love to double this figure so that I am earning over £400 a month by the end of the year. So there we have it, my four blogging goals for the year ahead. I have had such an amazing 2017 in this blogging community. I’ve loved having an outlet that is mine to publish whatever content I want and I am so proud that I have been able to continue to blog even though I have been working full time for the best part of the year. I am also super happy that 2017 saw me attend a blogging conference where I met some of the friends I have made in this little world. I really can’t wait to see what we all achieve in 2018! 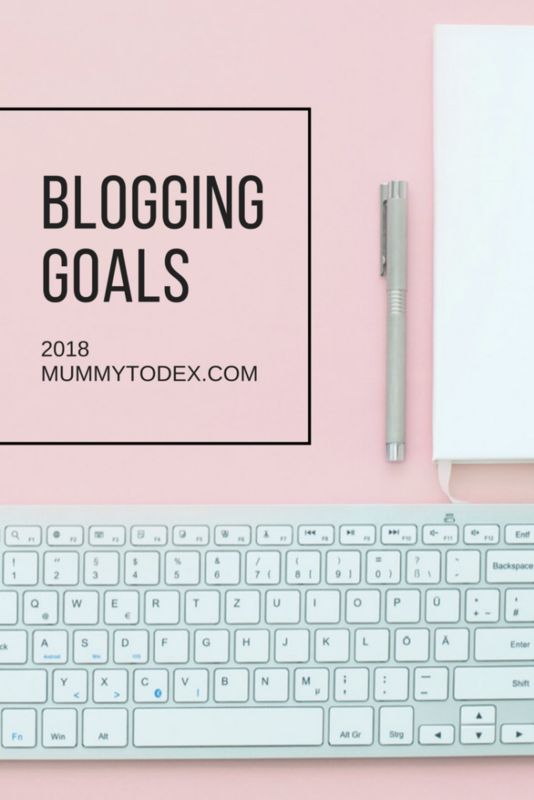 What are your blogging goals for the year ahead? I love reading posts like this – and hearing how well you’ve done over the last 12 months! I think it’s amazing that you’ve managed to do all this, work full time and still have time to raise Dex!! 2018 is going to be brilliant for you, I just know it. Gosh – I am always so amazed when I see how much other bloggers manage to achieve in a year (especially when working as well!!) Well done on achieving so much in 2017 – here’s to another amazing year for you in 2018!! Thank you Amanda. It took a lot of hard work, balancing and trial and error, but I think I have finally sussed it.